Women of Mining Part 2 – The 16% the Mining Industry Can’t Retain. There is no doubt that some form of change is required to encourage more women to stay working in the mining industry. The industry has long presented barricades for the involvement of women. From the lack of flexible working arrangements to the reliance on FIFO labour, and the ascendency of men in senior positions. Because female retention data is not easily accessible, we can only go off word of mouth within the industry as to what the real reasons are that women leave the industry at such high rates. It is, of course, well-known that the most common reason is the lack of flexible working arrangements. When you start a family, women are generally the primary caregiver at home for the children, and although it’s not the same in all cases, the same lack of flexibility affects men who are also primary caregivers. 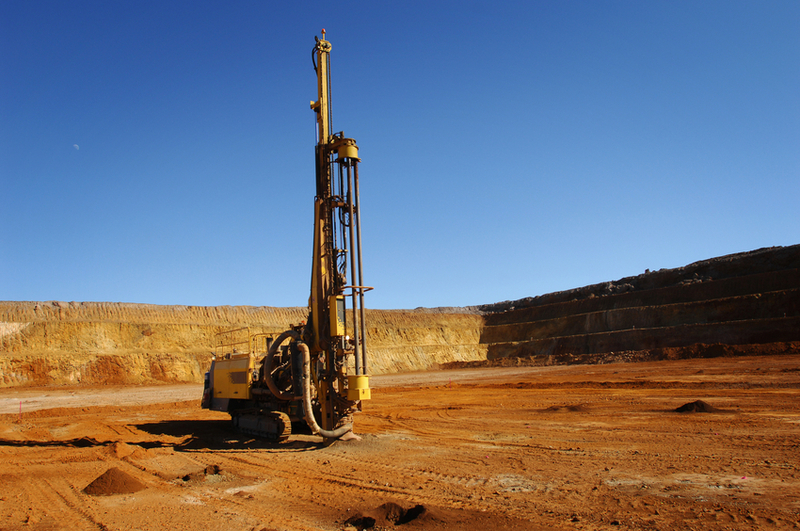 This flexibility that is required by parenting makes it very difficult to work into rosters on a mine site, and the distance from major centres means that FIFO is still a priority for staffing at remote locations. For any parent, and especially those with new families, this is difficult, to say the least. The need for more flexible working arrangements is needed to help cater not for just women, but all staff with young children. Typically, a woman who is employed at a FIFO mine site will find that there is little to no flexibility in the arrangements and will be forced to look for another way to survive. This is one of the most critical issues that the industry needs to remedy before they attract more women. However, when you are dealing with a primarily rostered on and off workforce, it presents some difficult challenges. During the time where people are starting families especially, we need to be far more flexible. Women make up 16 % of the mining workforce, and the number of women in management is also at 16%. But, we need to get the message out that more women are needed in the sector. This brings up another important fact that the industry just does not promote women in the sector to the extent it should. Even once women are working in their field within the industry, others in power think it is okay not to advance women, because they may have children in the future. Rather than working on ways to keep the most talented women working in the industry, whether they start families or not, seems low on priorities for some companies. These companies should be supporting every aspect of these well-deserved female careers, instead of hiring less-qualified male peers. Statistically, male managers will employ other males of a similar age and standing for high-level roles rather than consider females or even younger male or female options. Far more needs to be done to progress the diversity in the workforce, and although we have made some progress as a nation, the numbers show there is much room for improvement. Of course, some companies have presented programs focused on enticing women to, and supporting female development in the sector, and the industry recognises their contribution as extremely valuable. 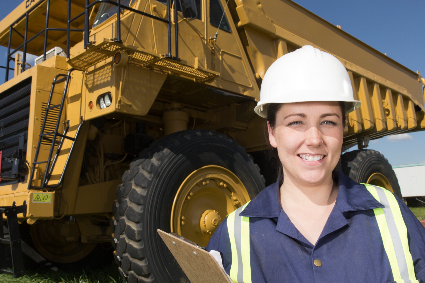 However, more changes are required to offer young women role models in mining. It will take time to evolve, but like every other aspect of mining, without change, we cannot evolve. Young women entering the industry need to see women in role model positions being treated with respect and enjoying themselves, so they can build the confidence to stick it out in the industry knowing there are opportunities for their own growth. It is a fact that when women work at high levels, they can have a significant impact on culture, work practices and offer a feeling of inclusion. Now is the time to make an active change. How are you going to do it? Do you have some answers? 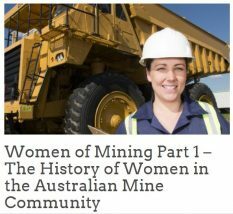 Are you an ex-mining industry woman? What was the reason you left? Are you still working in the mining industry but struggle to get ahead? Let us know why you think that is. How can the industry change to better suit retention of women in the community? Have your say!